We where asked to develop a bunch of typography blocks for being used on TAMPAX PEARL "ESTE VERANO SI" summer campaign, where users can perform an interactive test to obtain a personalized illustrated infographic. 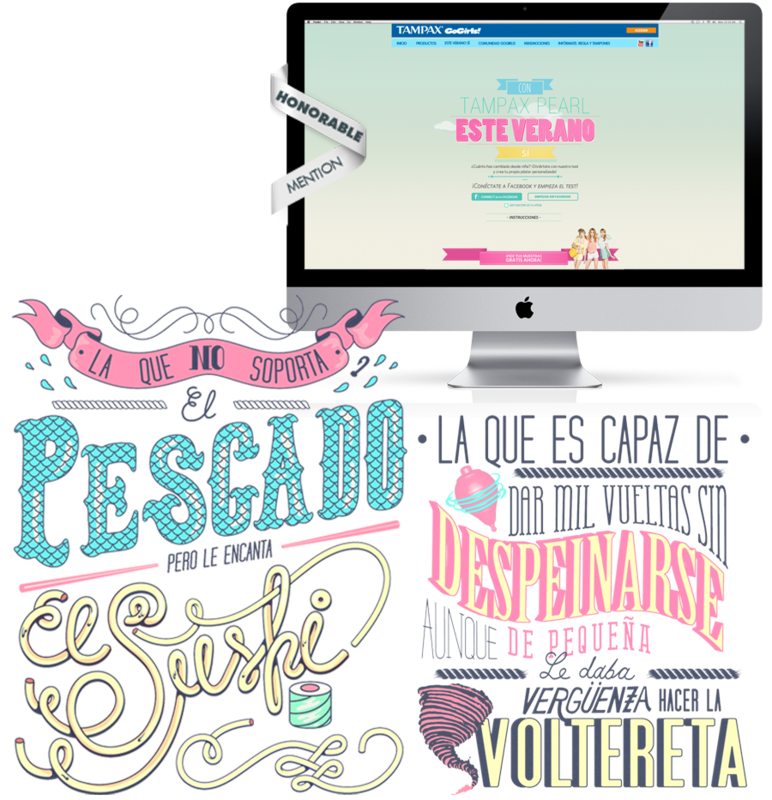 TYPO-ILLUSTRATIONS where created in spanish and portuguese. Website developed by SHACKLETON in html5. Art Direction & Site development: SHACKLETON. Typography & Illustration: Valistika Studio.